Do you ever find yourself wondering about your friends and family? What do they like or dislike? Where would they like to travel? Who do they admire? 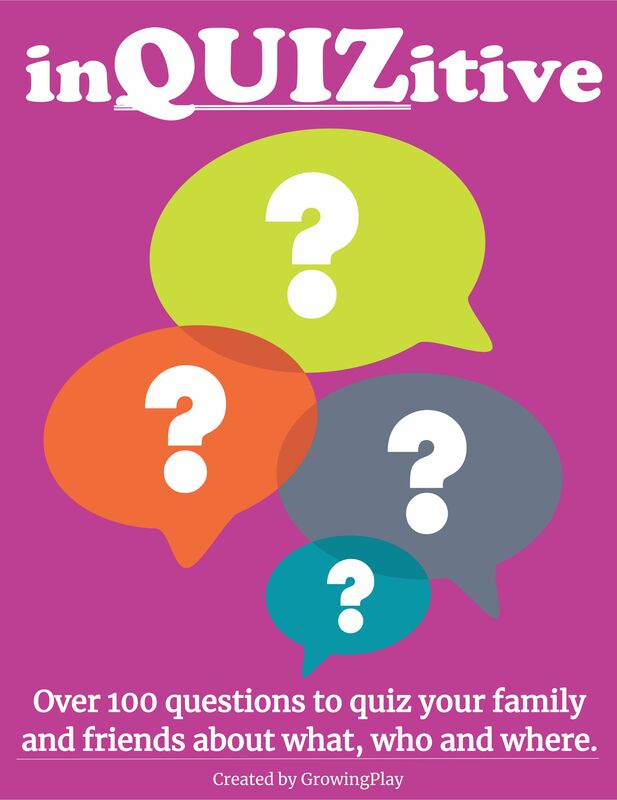 Here are 3 FREE pages of questions to ask friends and family. You can download it at the end of this post. Why Is It Important to Dig Deeper in Our Relationships? To form bonds with one another, we need to get to know each other on a deeper level beyond just asking how was your day today. When we know more about someone’s history, preferences, hopes, and dreams we automatically grow closer. Sometimes it can be hard to even know where to start to build these bonds. One way to help is by asking each other questions. Where did you take your best vacation ever? Where would you never want to visit again? There is no need to set aside special time to bond. Just add it to your daily routine. Asking open-ended questions is best so people can share as little or as much as they would like. The best time to do it is when you are together. Perhaps riding in the car, at the dinner table, waiting at a restaurant, or around the campfire. If you want to add creativity in the mix, try asking questions such as “Imagine you own a factory. What would you create and who would you sell it to?” or “If you could create any type of vending machine, what would you sell and why?”. You can get a jump start by downloading these 3 free pages of questions to ask friends and family. Sign up to receive the weekly email newsletter and announcements from Growing Play. You will be redirected to the free questions. 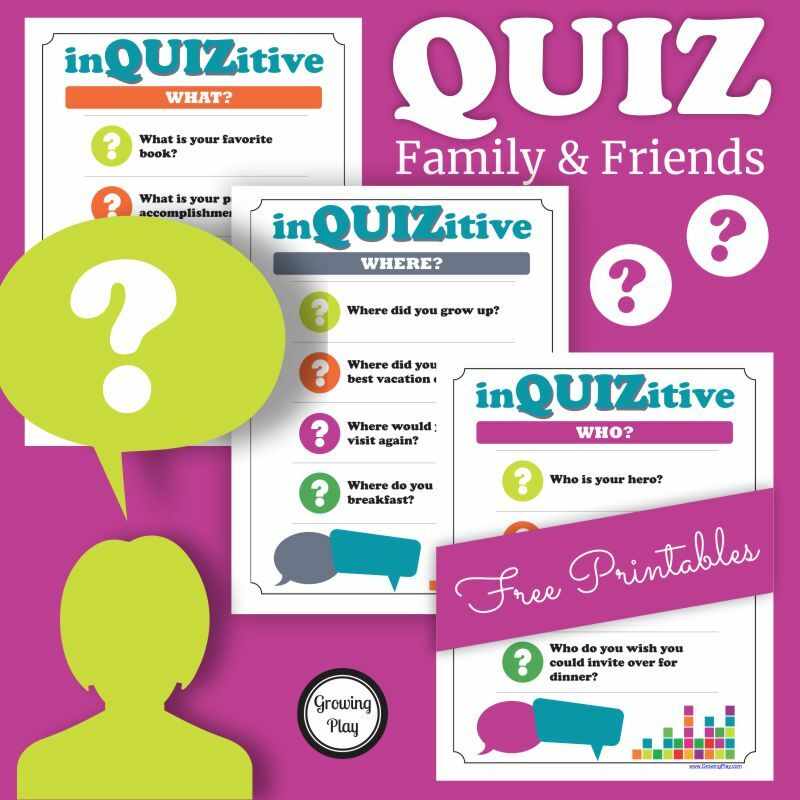 The digital download, inQUIZitive Questions to Ask Friends and Family, includes over 100 questions to ask your loved ones. They are divided into three categories: What? Who? and Where? The 33 page PDF digital document is perfect to get to know your friends and family on a deeper level. Use at the dinner table, on long car rides, around the campfire or anytime you just want to bond with friends and/or family. Some of the questions will take you down memory lane and some will have you dreaming about the future. Everyone will enjoy sharing their likes, dislikes, hopes, dreams, and memories. FIND OUT MORE.